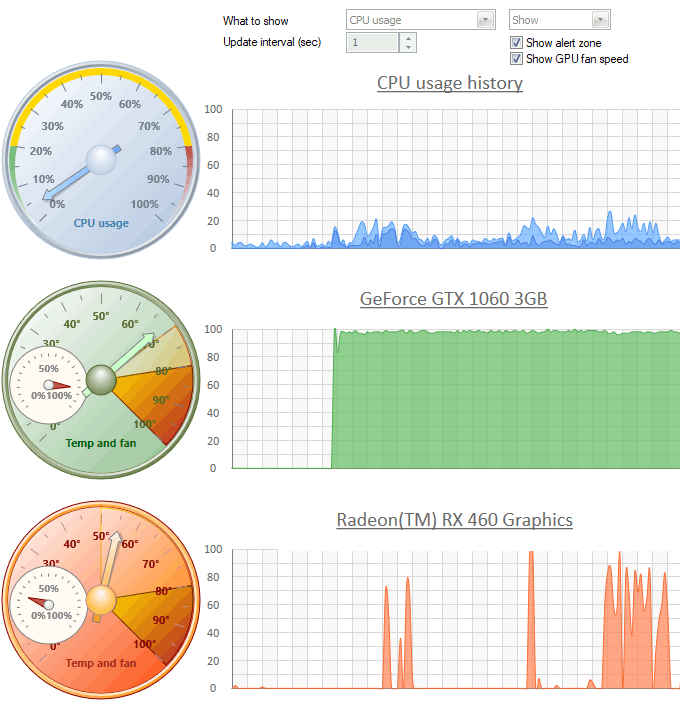 You can view here current CPU load and RAM utilization, each GPU load, temperature and fan speed. By default, the refresh interval is set to 3 seconds. Be careful: gathering the statistics also takes CPU time.